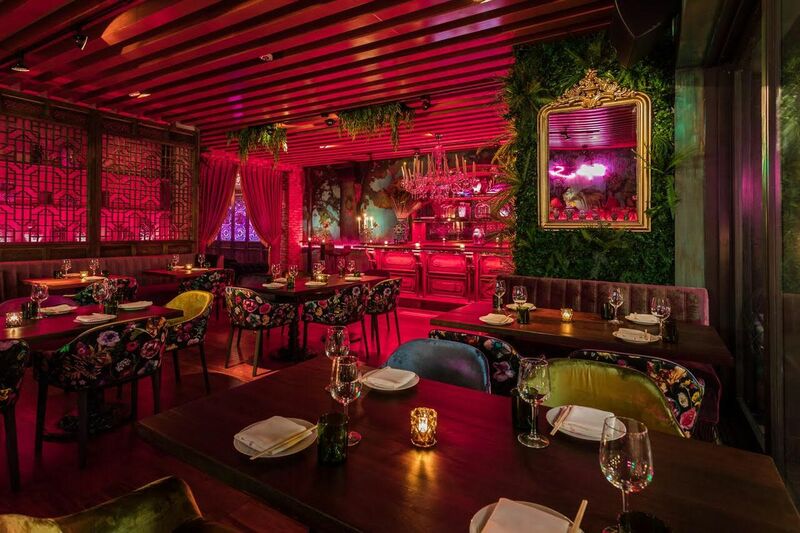 Miami certainly doesn’t lack in the “clubstaurant” department — i.e., eateries that teeter on the line between restaurant and nightclub — but that doesn’t stop more from opening up. 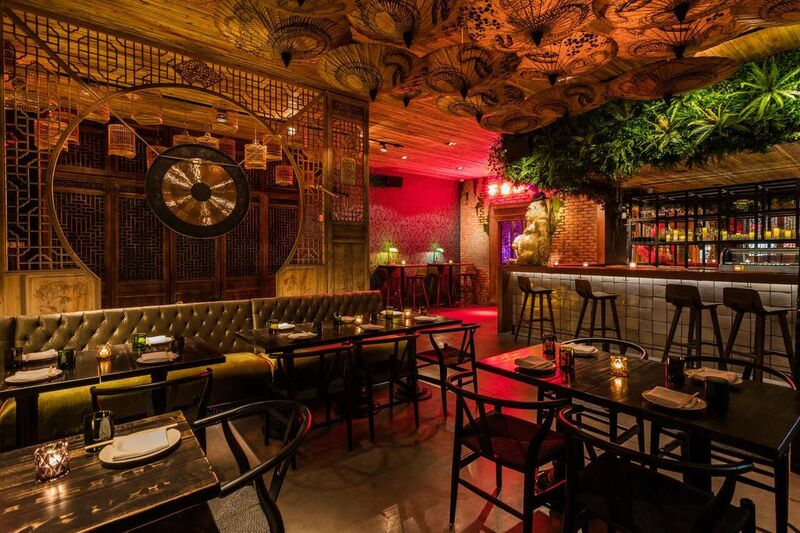 The latest newcomer is Mandrake (210 23rd Street), from the team behind Miami River’s clubstaurant Kiki on the River, and it’s 5,000 square feet of extra. 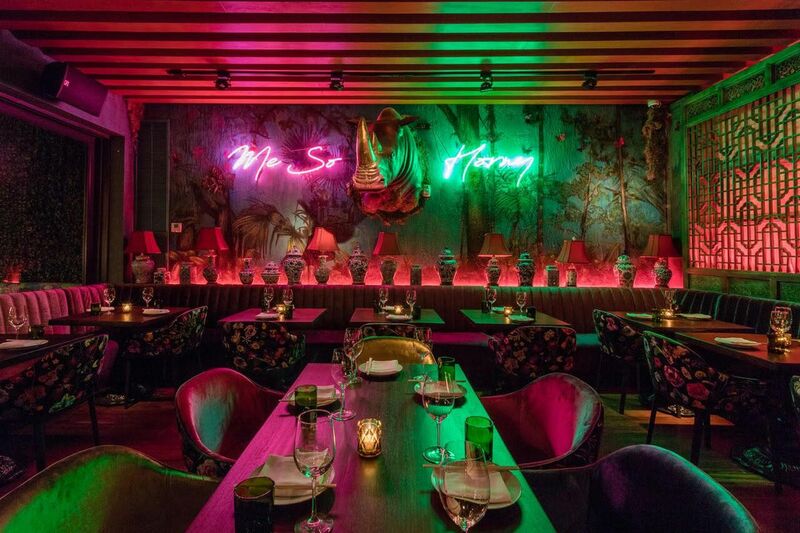 A life-size gold statue of a gorilla greets guests at the main bar while teal-colored subway tiles and neon Chinese phrases line the wall. 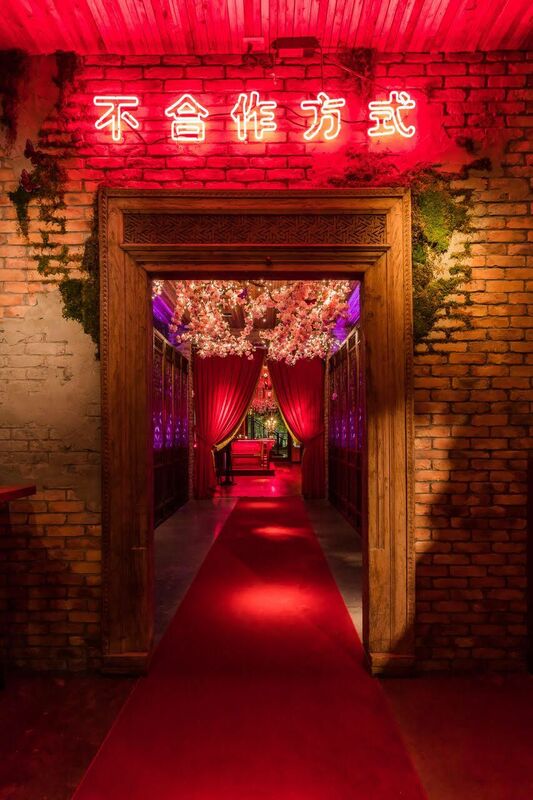 A hallway clad in vintage Chinese wooden gates and Japanese cherry blossom branches overhead leads to the main dining room hidden behind velvet drapes. 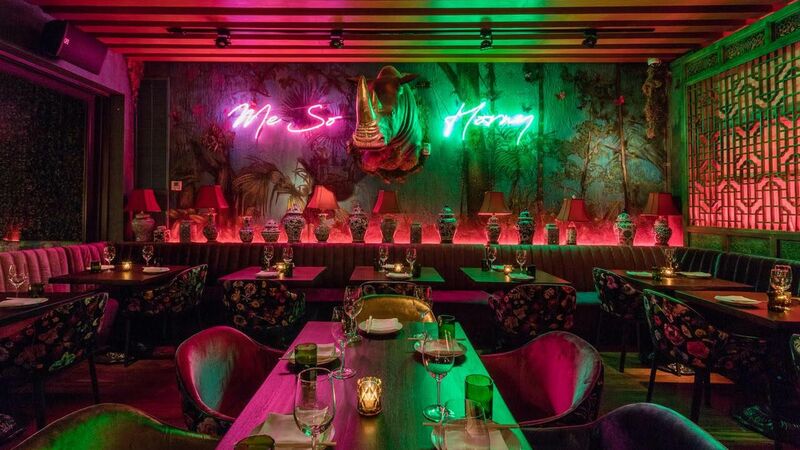 Inside, the Christian Lacroix-upholstered chairs surround an oversized faux rhino head sculpture with the phrase “Me So Horny,” (because of course) with a mural by artist Juan Rozas to round out the space. On the Asian-inspired menu, expect sushi, Izakaya-style plates like shrimp and scallop wontons, and duck gyoza, while larger dishes include items like whole fish tempura and a 32-ounce ribeye steak. To drink, there will be plenty of sakes by the glass and bottles as well as a selection of Japanese beers; and of course, wine by the glass or bottle. Mandrake’s cocktail program pays homage to hip-hop with named cocktails including the Future Hendricks and the Meek Dills. 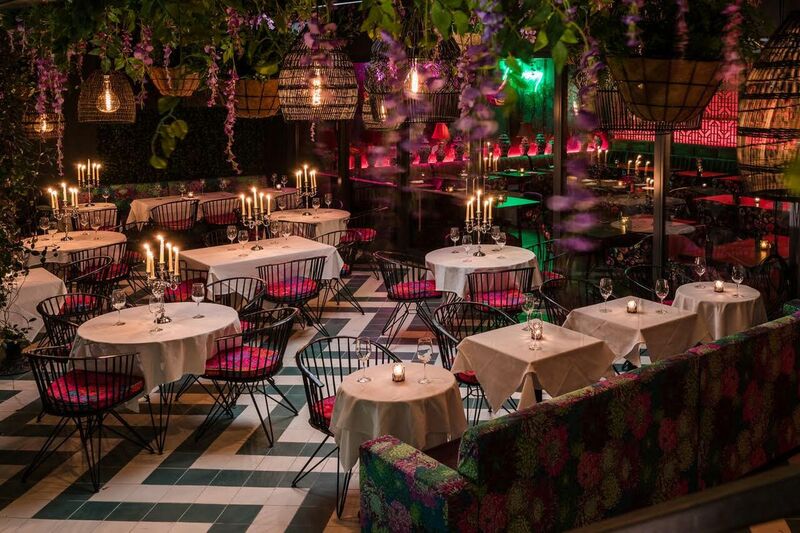 Mandrake Miami is open for dinner six days a week, Monday to Saturday, from 6 p.m. to midnight. For reservations, call 305-397-8036.